Home What is Bamboo Wicker? Wicker products have been popular since the ancient times. It is believed they were first made by Egyptians, and later Romans, who used a variety of grassy materials to weave objects for everyday use. The term “wicker” is often misinterpreted to mean an actual material used in making wicker products, whereas it is actually the process by which materials, such as wood, rattan, reed, willow, banana leaf, and bamboo, are woven into furniture, baskets, and other useful or decorative items. 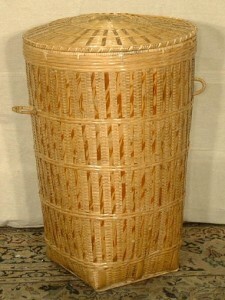 Although rattan is most widely used in wicker furniture, bamboo is often sought out for its unique features and aesthetic appeal. Bamboo wicker is simply a product made by weaving bamboo material into a desired shape. Bamboo and rattan – both used widely in wicker products – look very similar but differ in significant ways. Rattan is considered to be the world’s strongest wood. It grows vertically, and can be bent by the steaming process. The main difference between these two organic materials is the inside: rattan is solid, while bamboo is hallow. This doesn’t mean, however, that bamboo is a weak material. Far from it. Bamboo is harder than mahogany, and it cannot be bent, as the steaming process required to do so would split, or crack, the bamboo when it dries. Sometimes bamboo is filled, or capped, at the ends to make it more “solid”, but it does not require such tactics in order to make strong, lasting products, including various furniture fixtures. Due to its hollow nature, bamboo wicker products don’t usually use screws, but are instead wrapped to be held in place. Although visually similar to rattan, bamboo features prominent, distinctive rings on its surface, as opposed to its much smoother counterpart. Bamboo wicker appeals to consumers for many reasons. Aesthetically it is considered more attractive than other wicker products. So much so that its features are sometimes copied and painted on other materials, including rattan, to make it look like bamboo. Its cost is also a consideration. Bamboo is obtained relatively cheap due to its much faster growing rate, making it more readily available. It is one of the fastest-growing plants in the world, and can be harvested sooner than other types of trees or plants. Bamboo is stronger than many other materials, including oak, cherry, or maple, which makes it desirable for use in furniture, such as bamboo wicker chairs, tables, and even sofa beds. Bamboo wicker products are also in demand for decorative purposes. 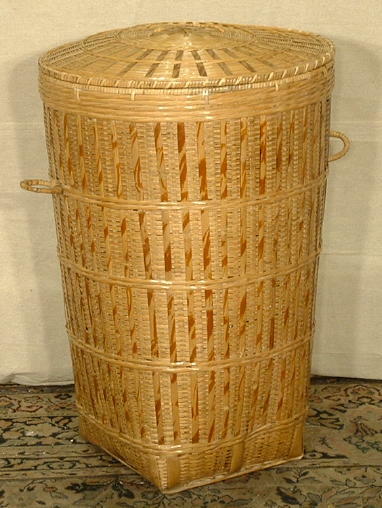 If cared for properly, bamboo wicker products are durable, and can last many years. Taking simple precautions, such as water sealing bamboo wicker products, ensures a much longer life span, as bamboo is susceptible to moisture. Many useful and decorative items are made of bamboo wicker, and the possibilities are endless. From beautiful baskets and sturdy furniture, to unique Christmas ornaments and decorations – bamboo wicker provides a low maintenance, inexpensive way to beautify your home.